Scott’s Wood Products was founded on April 4, 1973, in Roscommon, Michigan by W. H. Scott. Scott’s Wood Products became a division of Scott’s Enterprises, Inc. in June 1985 and currently operates two manufacturing facilities. 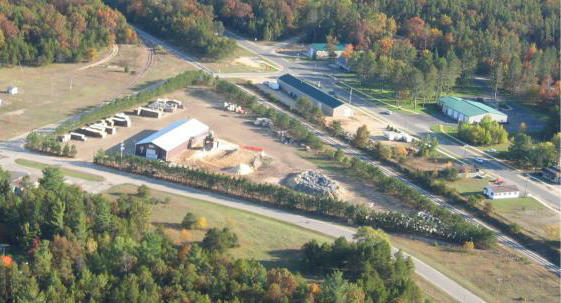 In 2009, Scott’s Wood Products installed a “Kiln-Direct” Pallet Heat Treating Kiln to comply with international standards (ISPM-15) for wood packaging material (WPM) in accordance with International Plant Protection Convention (IPPC), and American Lumber Standards Committee (ALSC) guidelines. The process is overseen by American Wood Inspection Services (AWIS). The primary motivation for installation of the heat treating kiln was to help control the Emerald Ash Borer (a small insect that has devastated the Ash trees in Michigan), as well as other invasive species of insects. 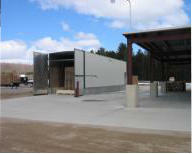 Both manufacturing facilities have several acres of finished and unfinished product storage. Several truck/trailer loads of pallets and cut-stock are kept in inventory for customers. 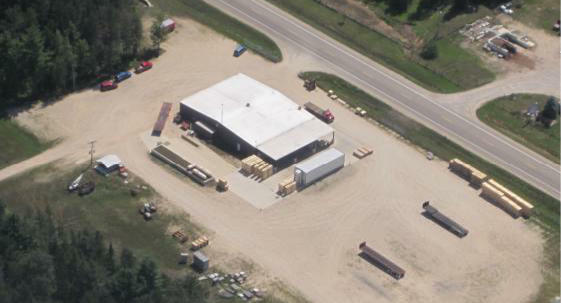 Scott’s Wood Products began at this location with the purchase and conversion of the old F.R. Wyckoff sawmill into a pallet operation. Since that time, the facility has been rebuilt into a modern re-saw operation. Partially processed wood raw materials purchased from other (insured) entities are manufactured into cut-stock primarily for packaging (i.e. pallets, boxes, corner posts). The majority of the cut-stock produced at Plant #1 is shipped approximately 2-1/2 miles to Plant #2 for assembly and /or final shipping. Plant #2 opened in 1977 and is where our main business offices are located. 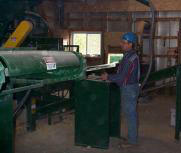 On location, we build and assemble cut-stock into finished wood products. 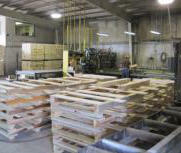 Components manufactured at Scott’s Wood Products Plant #1 and/or inventory on site are assembled at Plant #2 prior to shipping to customers. Facility loading docks feature a roofed staging area, as well as a large open yard, making loading and unloading product easy.